Social media is quite an open space. You can post virtually anything you want – when you want. From selfies to pictures of your food now, they won’t generate you the best results, but at least they won’t result in a social media storm against you. But there are a few things you should stay away from if you want to stay out of trouble, generate the best marketing results, avoid making your customers angry or causing a social media storm. It is especially important as a brand to take note of these 8 things, as they can seriously harm your reputation. You might share a post that you think is completely innocent, but come off in the wrong way and causes a riot against your brand. To prevent that from happening, I’ve written a list of 8 things you should never share on social media. Because the first step to avoiding mistakes is to actually be aware that you are committing them, and understanding that they can hurt your brand. Awesome, let’s dig right in! There’s not much that is more annoying than seeing brands try everything they can in hopes of going viral. 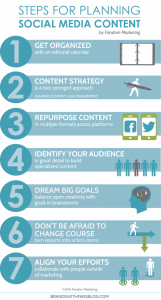 If you are doing social media marketing for your brand correctly, you should by now have created a content strategy. If you have built your content strategy well, irrelevant content where you try to go viral shouldn’t be a part of it. If it is, remove it. As a brand, you have a niche and a personality. Your content strategy tells you what type of content you should share to follow that niche and ultimately make the content you share interesting to your audience. If you try to optimize your content and tweak it to increase its chances of going viral, then go ahead! There’s nothing that stops you. The major problem is when you start to share content that is completely irrelevant to your audience and doesn’t align with your brand message or niche because you’ll alienate your audience by doing so. Yes, viral content is fun and all, but just because it’s funny doesn’t mean it belongs on your page. Your followers aren’t following you as a brand to hear your political view or hear about religious arguments or preaches. If there are two things you should stay away from, it’s these two. Brands should stay out of politics and religion as much as possible (except for a few exceptions). Note that your brand most likely isn’t one of those exceptions. Of course, there’s nothing that stops you, but if you choose to do so, please be aware of the massive risks before you do. Let’s say that you start posting arguments for left-wing politics and the majority of your followers are right-wing. You’d be upsetting and making a huge chunk of your following, and miss out on a ton of existing customers, as well as scaring away many of your future potential customers as well. Politics and religion rarely go well for brands to talk about, and especially not on social media where the information passes at the speed of light, and you’re only a millisecond away from disaster with everything you do (to put it the hard way. If you still insist on posting, just be aware of the potential consequences and criticism you might face. 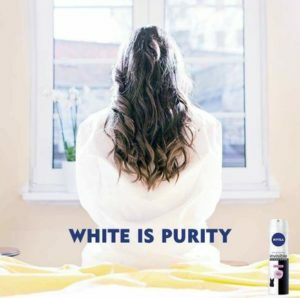 Just look at Nivea’s “White is purity campaign” that was shared on social media. While it is necessarily not a subject regarding religion or politics, it’s a great example of how things can backlash unless you review the things you post thoroughly with criticism in order to spot if and how your post can be misinterpreted in any way. While the intentions behind the campaign were good and weren’t meant to be racist, it was interpreted that way, and it faced an intense social media backlash as a result. This goes for all aspects in correcting and controlling your post before you share it – both to identify misspellings or fails etc, but also to identify if the content you are about to share has the potential to be misunderstood and come off in the wrong way, leading to a social media storm. 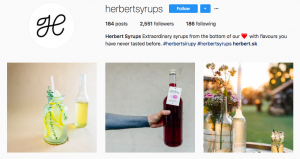 Yes, social media is a relatively casual and relaxed place, but as a brand, you want every single piece of content you put out to be tuned to perfection, and the truth is that small mistakes can have a big impact. If you just commit a few errors with your spelling, for example, you risk coming off as unprofessional and unserious, and this is a label you want to avoid getting. Before you share something, just take a few minutes to see that your spelling is correct, your post will be understood for what the idea behind it really is, and that it doesn’t contain any major flaws or editing fails. These are all examples of things that decrease the overall quality of the content you put out. Sharing negative posts about your customers on social media is never a good idea. In fact, sharing negativity about your customers anywhere is never a good idea. When you do, it will say a lot about you and the way you treat customers. As a brand, the customer is always right. It doesn’t matter how stupid or idiotic they are. If a customer is annoying, don’t go down to their level – because that’s exactly what you do when you start talking crap about them. Often times, you just need to calm yourself down and think the situation through. When you’ve done so, think though if you still want to write negativity about your customers. 91% of unhappy customers will not willingly do business with you again. 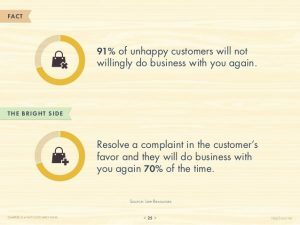 But what’s interesting is that if you resolve a complaint in the customer’s favor, they will do business with you again 70% of the time. Now, the reason to why you feel like writing negativity about your customer on social media can differ quite a lot, and often times, it demands more than a simple customer complaint. In fact, brands that have the right mindset actually welcome complaints because they allow for the brand to identify flaws in their company and evaluate whether the complaints hold any real truth to them. Yes, 70% of customers will do business with you again if you solve their issue, but if you start writing negativity about them on social media, you can with almost 100 percent certainty say that you’ve lost them forever. The idea behind social media is to build influence, build great relationships with your audience, and to increase brand awareness. All of these things are eventually also mean to increase sales. Nobody is following a brand because they want ad after ad shoved down their throat. Instead, they want to get different kinds of value from it. Also, believe it or not, but you actually generate better marketing results by promoting less on social media. If all you post on social media is ads, you’ll end up making your followers unfollow you or make them immune to your ads. This is the infamous ad blindness case. There are different “rules” to how much promotional content you should post on social media. Some say the 80/20 rule is the one you should follow, others say that the 70/30 rule is optimal. This would mean sharing 70% non-promotional content and 30% promotional content. I don’t want to dictate on how you should manage your distribution of promotional content, but if there’s one rule you should follow, it is the one that says that you should provide value with the content you share. It doesn’t matter if you’re sharing discounts, information, or a good laugh; content that provides value is the type of content that sticks. Don’t use clickbait etc to drive more traffic. You’ll only damage your brand and credibility, even if the results seem awesome right on the spot. There are plenty of examples of people who have used clickbait to drive more visitors, but doing so has only been for the simple reason of instant gratification and not thinking long-term. If you take the shorter route, you won’t get to the destination that the long route leads to. Simple. Worst of all, people who use clickbait often receive lots of hate from their audience because they become disgruntled.